It’s not just about the look, but protecting your eyes from damaging UV rays, as well as when you are enjoying the sports you love. Our helpful and experienced dispensing staff are on hand to help you choose the glasses that suit all your prescription needs. 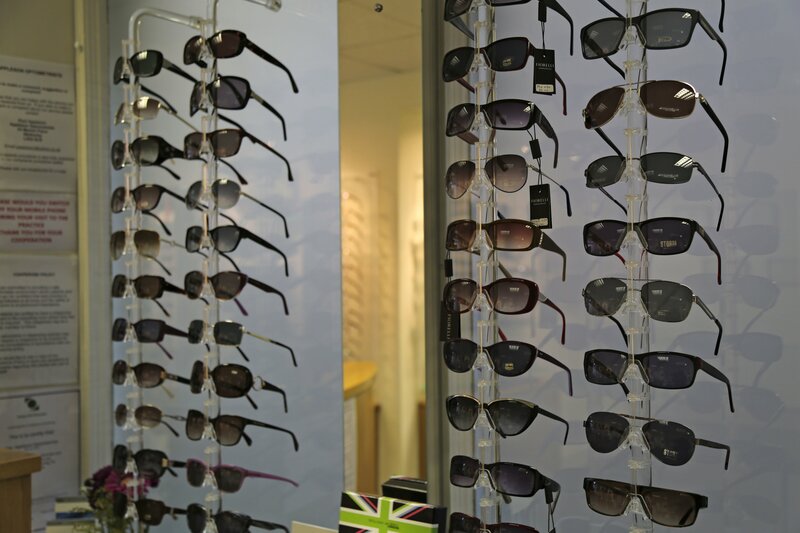 Protect your eyes with our stylish range of sunglasses – including William Morris and Paul & Joe – and many other designer and non-branded prescription sunglasses. Choose the latest in high quality sun lenses like Drivewear and Polarised. Drivewear is the first photochromic lens to darken behind the windshield of a car, combing two advanced technologies, Transitions photochromic and NuPolar polarization. See our sports range of wrap-around sunglasses for total protection and performance. Sunwise is a British company of high quality sports sunglasses which offer flexibility of interchangeable lenses for different light conditions. Optical inserts for corrective prescription lenses and wrap-around frames can also have corrective prescriptions fitted. Unique freeform design lenses for wrap-around frames not only protect your eyes while effectively expanding viewing areas and enhancing peripheral vision. We’ll help you choose the right sunglasses and sports goggles, to protect your eyes, look good and let you enjoy the sports you love. To view our stylish range of prescription sunglasses and sports eye wear, pop into Appleson Optometrists today or contact us on tel: 01937 583278 or book an appointment now.